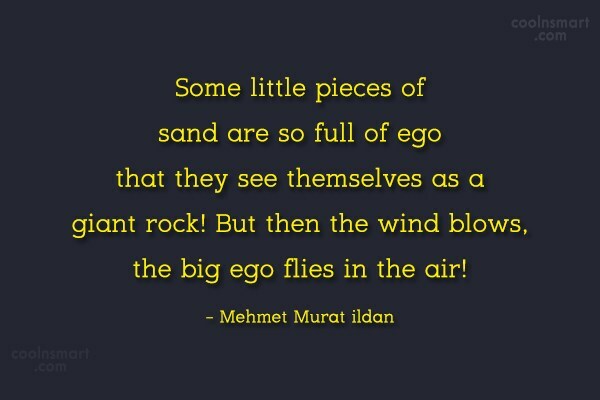 Some little pieces of sand are so full of ego that they see themselves as a giant rock! But then the wind blows, the big ego flies in the air! Disappointment means that things haven’t worked out the way you wanted! And now what to do? Very simple: Stand up and walk! Cut the tragedy because our limited time must always be used for the forward movements! Simple life and peaceful mind are very close friends! Smile is a good reply to the dark world. When you feel yourself unhappy, look at a smiling child, you will feel happy again! Sun gives light; torch gives light, candle gives light; smiling gives light. Flowers are like the sweet babies of the nature; they make us to smile. Insult is a monstrous scorpion, and compliment is a likeable nightingale; one stings mercilessly, and the other sings sweetly. Poverty is a mathematical proof of the fact that mankind is a big failure! Sunrise looks spectacular in the nature; sunrise looks spectacular in the photos; sunrise looks spectacular in our dreams; sunrise looks spectacular in the paintings, because it really is spectacular! Carry your bag by yourself; carry your umbrella by yourself; open your door by yourself; light your own candle! Do your job by yourself! Don’t use others! Don’t behave like a king, don’t behave like a queen! Be humble! When it comes to poverty, there is no need to say anything. All we need to do is to help, the moment we encounter it. Men need discipline! Countries need discipline! World needs discipline! He who wants to be successful needs discipline! Be a man of discipline! There is always something sad about the old photographs, it is because we know that people in the photos have gone forever. In autumn, don’t go to jewelers to see gold; go to the parks! The strange thing about the sunset is that we actually don’t want the sun to set, we want it to stay right on the horizon, not below it, not above it, just right on it! No man with a complex life can be happy! The simple secret of the happiness is simple life! When the sky is totally covered by the dark clouds, be strong enough to see the bright stars beyond them! Strong winds create giant waves; strong wills create giant men! An old road always looks richer and more beautiful than a new road because old roads have memories!